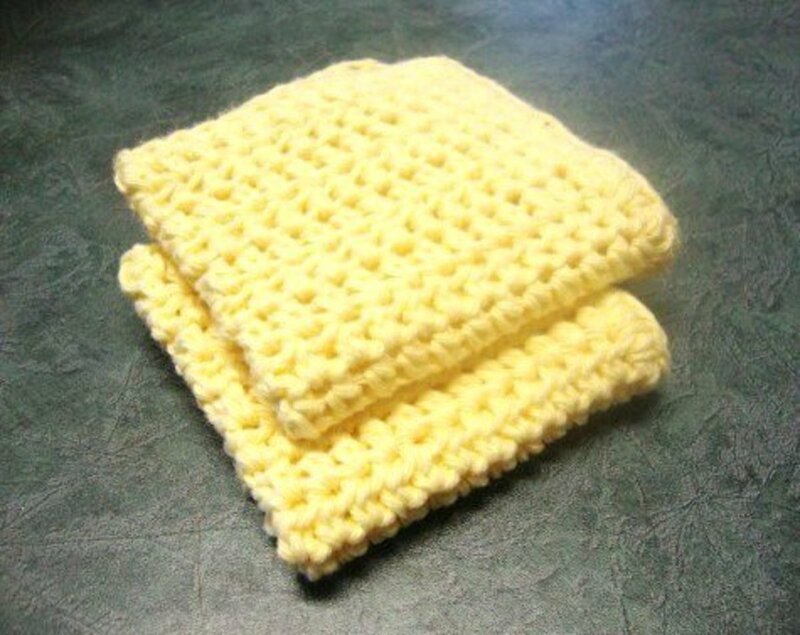 The term "crochet" comes from the French word "croche," which translates to hook. 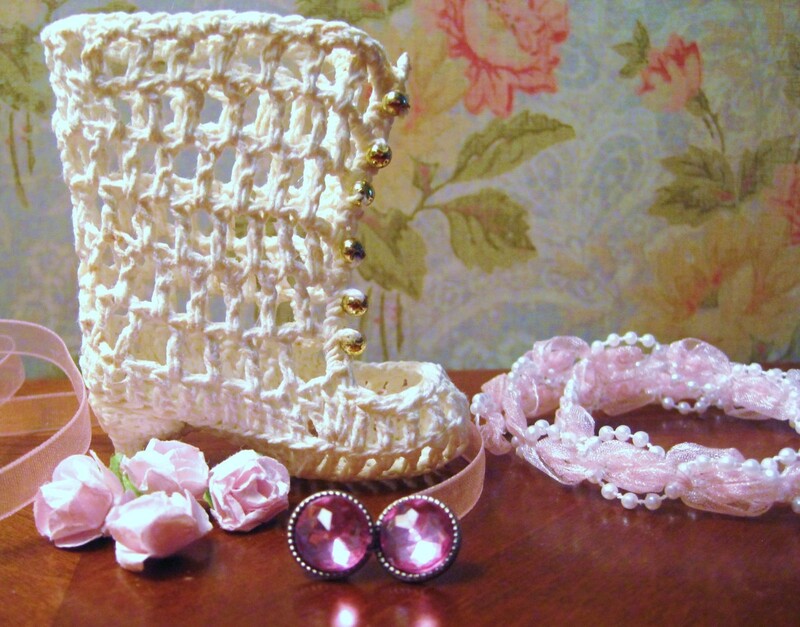 This European trend started in the early 1800's when even Queen Victoria of England crocheted. The invention of crocheted Irish Lace in 1845 kept many families in Ireland from starvation, as their product was highly desired and exported to England during the Great Famine. Today, crochet has a deep traditional role in many families. In my family, treasured patterns are passed down from one generation to another. 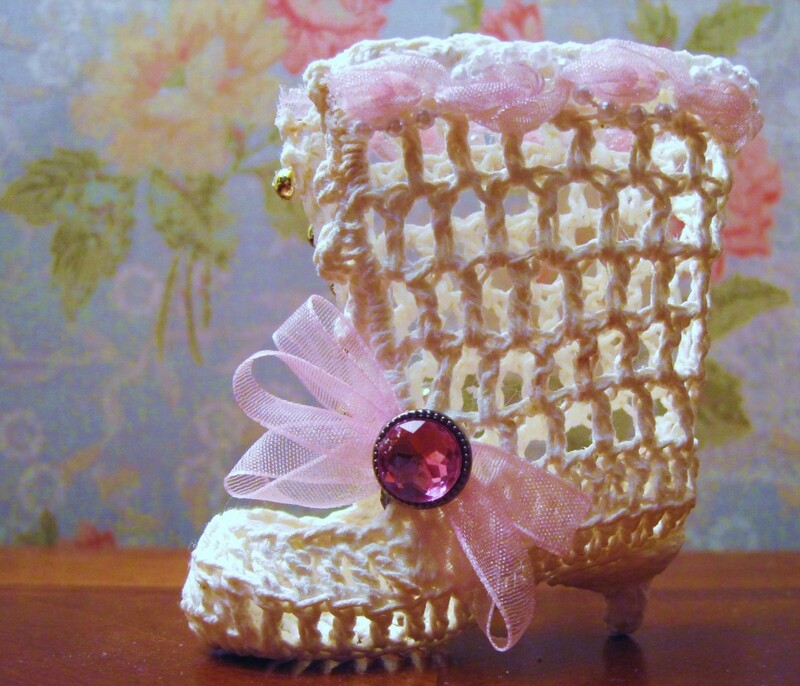 This vintage crochet Victorian-style boot pattern is a family heirloom. RND 1: Ch 2. (first hdc). Work 8 hdc in ring. Sl st in top of ch 2 to join. RND 2, 3: Ch 2. Work 1 hdc in each hdc around. Join. Finish off in last RND. RND 1: Work 2 sc in 2nd ch from hk. Work 1 st in each ch across as follows- 7 sc, 2 hdc, 5 dc, 2hdc, 1 sc. Work 3 sc in last ch. Sk last ch and working in back lp of each ch work 1 st in each ch as follows- 2 hdc, 5 dc, 2 hdc, 8 sc. Sl st in first sc to join. RND 2: Ch 2 (first hdc). Work 1 hdc in each of next 19 sts. 3 hdc in next st. 1 hdc in each of next 18 sts. 2 hdc in last st. Sl st in top of ch 2 to join. Equals 43 hdc. RND 3: Ch 1, sc in same st as sl st. Work 1 sc in front lp of each hdc around. Sl st in first sc to join. RND 4: Ch 2 (first hdc). 1 hdc in each of next 14 sc. (Dec working 1 hdc in next 2 sc at the same time). 7 times. 1 hdc in each of the next 14 sc. Sl st in top of ch 2 to join= 36 hdc. RND 5: Ch 2. 1 hdc in each of next 7 hdc. 3 hdc in each next 3 hdc. 1 hdc in each of next 4 hdc. (Dec working 1 hdc in next 2 hdc at the same time) 4 times. 1 hdc in each of next 3 hdc. 3 hdc in each of next 3 hdc. 1 hdc in each of next 7 hdc. Sl st in top of ch 2 to join. ROW 6: Sl st in each of next 9 hdc. Ch 4 (first dc, ch 1), turn. Sk next st, 1 dc in next st. *Ch 1, sk next st, 1dc in next st. Rep from * 8 times. Equals 10 dc. ROW 7, 8: Ch 5 (first dc, ch 2) turn. 1 dc in next dc. *Ch 2, 1dc in next dc. Rep from * across. ROW 9, 10, 11: Ch 6 (first dc, ch 3), turn. 1 dc in next dc. *Ch 3, 1 dc in next dc. Rep from *across. ROW 12: Working alongside edge of the top of the boot, ch 4, turn. *Sc in top of next dc, ch 4. Rep from * 5 times. Sl st in same st as beg dc of RND 6 to equal 6 ch 4 lps. Break off leaving a 4 yard length of cotton unworked. ROW 13: Join in opposite side and rep ROW 12. Finish off. ROW 14: Pick up end from ROW 12. Ch 1, turn. *Work 4 sc in first ch 4 lp. (Sl st in next ch 4 lp, ch 1, 3 sc in same lp) 5 times. *(4 sc in ch 3 sp) 9 times. Rep from * to *. Finish off. 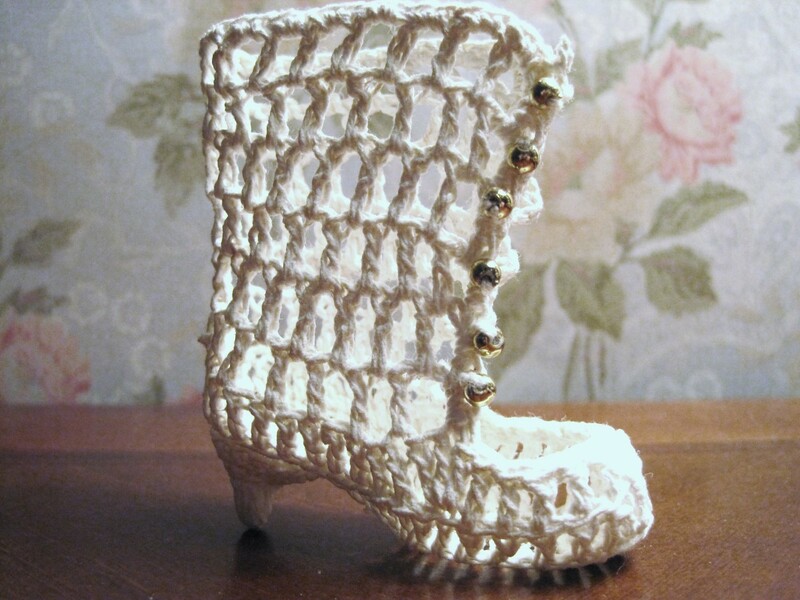 Take the heel piece and pull it over the straw to stretch it out. Take all pieces of boot and soak it in the stiffening solution till each piece is saturated. Remove from solution. Stuff the toe portion of the boot with saran wrap to get it to stay in boot form. Shape the remainder of the boot and place saran wrap in this part to create a form. Pin the boot heel to the pinning board. Pin the remainder of the boot to the heel. Allow the entire boot to dry completely. When dry, glue the heel to the boot. Decorate your boot and enjoy. This makes an excellent Christmas tree ornament or every day decoration! Learn to crochet this victorian vintage angel! Easy to make finger less gloves. Also includes alternative directions for for gloves those who don't crochet. You can even make your own leg warmers for dogs. What other Free Vintage Ornament Patterns Would Interest You? Crochet? How did I end up on this page? 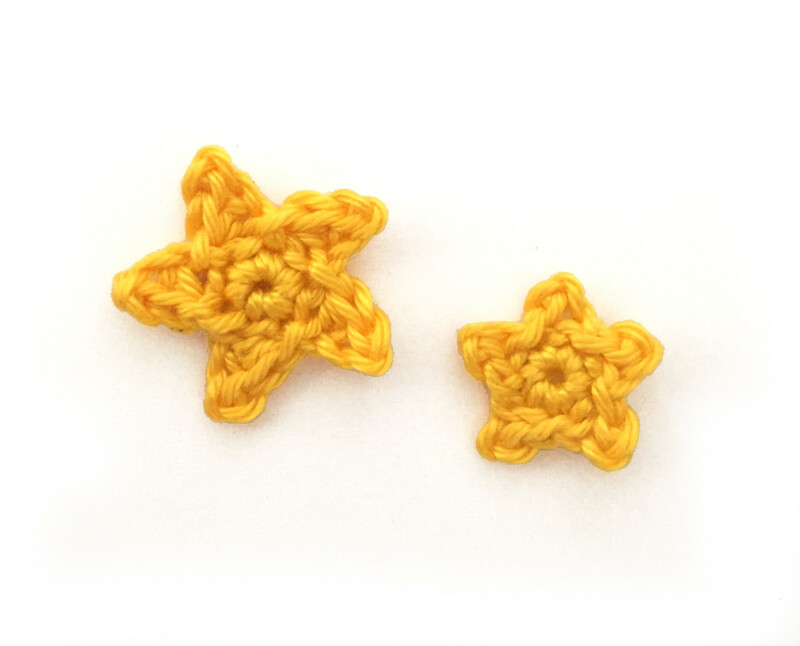 Cute Star Crochet Pattern - Free! Thanks so much Rhonda! I am glad you enjoyed it! Tammy what a great tutorial!! Love, love love it!! voted up and useful! Thanks for stopping by vespawoolf! 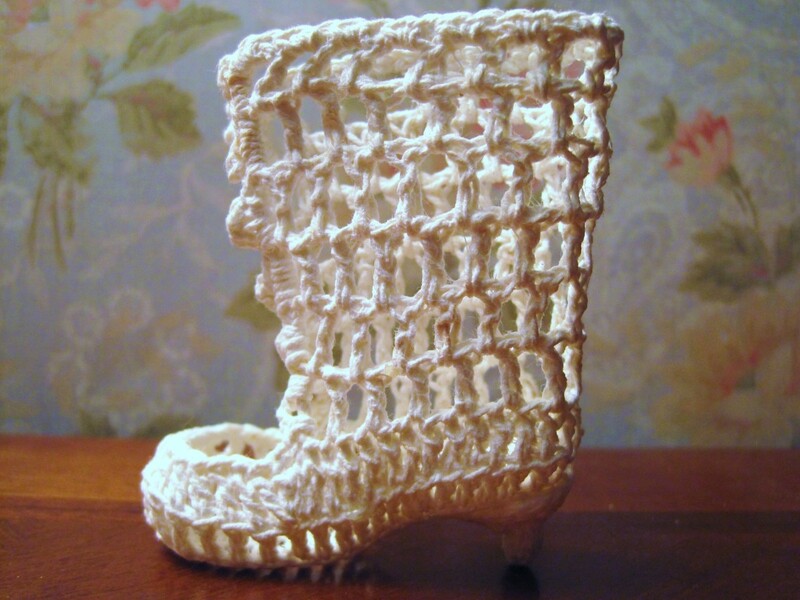 What a cute little boot! I didn't know the history of crochet, and that even Queen Victoria did it. Very interesting---thank you. Dear Tammy - Very, very cool. The top image fascinates me because on first, second and third glance it appears as if diamonds or crystals compose the bootie. Only after reading and scrolling down with the images of wallpaper and without a glittering reflection could I see the stitches and the space in between them. Thanks so much for reading and commenting fpherj48! Thanks for reading and commenting RusticLiving! The finished boot is 2 x 3" with the heel. It would be a great tree ornament or package decoration. Thanks so much for reading and sharing. OMG! Love this darling boot so much. I'd give a years pay to be able to make this. Like Realhousewife, I don't know how to finish the square I started. :) Please consider moving next door so I can once and for all learn how to crochet before I die! Up and across and sharing. Share away Mama Kim! :) Thanks! Thanks so much for whooing unknown spy. I appreciate that. WWWOOOOWWW!! Tammy, this is very beautiful!! gee, what a unique talent and creativity you have..oh so pretty! Thank you so much for reading and commenting Alocsin. I appreciate your kind comment. What a beautiful craft -- not being into crocheting, I don't understand the instructions but I can certainly admire the final result. Voting this Up and Beautiful. I am glad Ruchira. It is good to inspire people to make this craft. I appreciate your comment and the sharing! Thanks so much for visiting and commenting Melovy. Crochet is making a big comeback, especially in other countries. I hope you will give it a try! Thanks for the kind comment Kellyward. I appreciate the pin! Tammy, I learnt to crochet in school. I had totally forgotton about it until now. Will give it a try...giving me a rush to drive to Michaels and get the stuff. I did a little crocheting as a child, but mainly knitting. Like Martie however, I've done very little since I started writing. I've recently begun doing some drawing again and it would be nice to do more crafts too. This is a beautiful hub, I love the colours in the photographs. I LOVE knitting and crocheting - but since I've become a writer in 1991, I seldom if ever get the time to do it. I spend all my free time writing and reading. But this booty looks so cute, I feel like stealing time.... Thank you, Tammy! Thanks so much Barbara Kay. I will look for yours and link it as well! Hi AudreyHowitt. I used to do needlework but I haven't done it since my teens. I would love to do embroidery. I appreciate the share! Thanks so much cclitgirl. 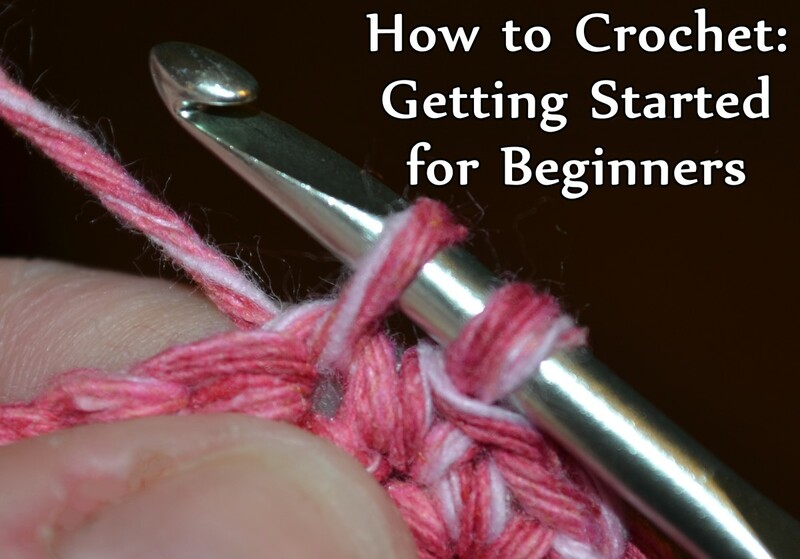 Crochet is a little harder than knitting and it uses much more yarn and thread. If you want something warm you can't beat crochet. Thanks so much for your perky comment. Thanks so much dwachira. You are right. I don't speak math.. or technology, but this is one language I can speak. Great point. Thanks for visiting! Tammy, This is beautiful. I'm going to share the link with my list of free vintage crochet patterns hub. I hope that is alright with you. Are you a needlework fan??? We should talk! So am I!! Loved this by the way! And sharing with all my other needlework fans! I do not crochet but love this cute pattern. Thanks for sharing it with all of us. I taught myself to knit and I want to learn how to crochet. I will say that this looks BEAUTIFUL!! 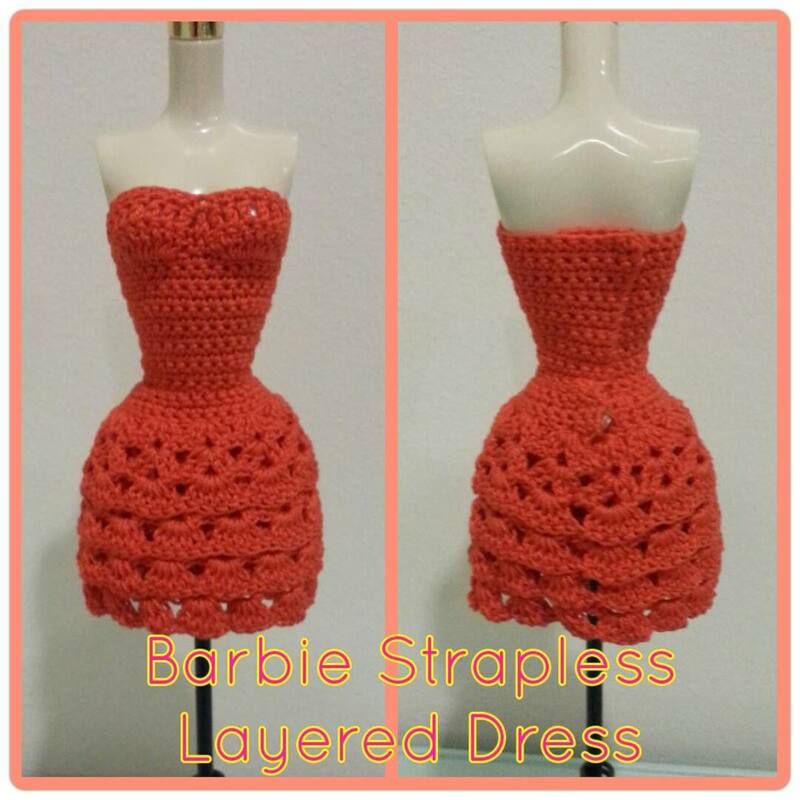 I admit, it also looks intimidating not knowing how to crochet, but for the avid crocheter, this would be divine! Voted up/tweeted/pinned. Awesomesauce! Very creative and beautiful but opps!.. those Crochet patterns looks like some programming codes no wonder some things are better handled by women. Voted up and beautiful. Thanks so much lyricwriter. It is always a pleasure to see you. You always write the most lovely comments! Tammy, excellent work on yet another article. Commend you on a job well done and your hard work. I always enjoy your crafts and arts, fantastic ideas and great directions. The boots are really beautiful. Would be great for many things, such as Christmas or for a new child, ect. Voting this up and all the way across but funny. Take care. You are so talented Tammy, I could never do something like this. All I know about crochet is looping the thread to form a chain...lol Th boot looks great! That is impressive Docmo. I am surprised by all you fellows crocheting, but I am sure there are many who learned. I taught my brother macrame when he was younger. Crafts are just so inviting and relaxing for everyone. Thanks so much for stopping by and sharing that. Thanks for reading and commenting Thelma. My mom made me lots of doll dresses and stuffed crocheted animals. I learned early on but I didn't take it very seriously until later on. I hope you will give this a try! Totally awesome, easy to follow and a glossary of abbbreviations too. Like Billybuc I was also taught to make simple patterns by my Grandma I was fascinated by the speed and the magical transformation of a pattern appearing right before my eyes. She loved showing me how! This is a fantastic craft hub. WOW! Awesome! 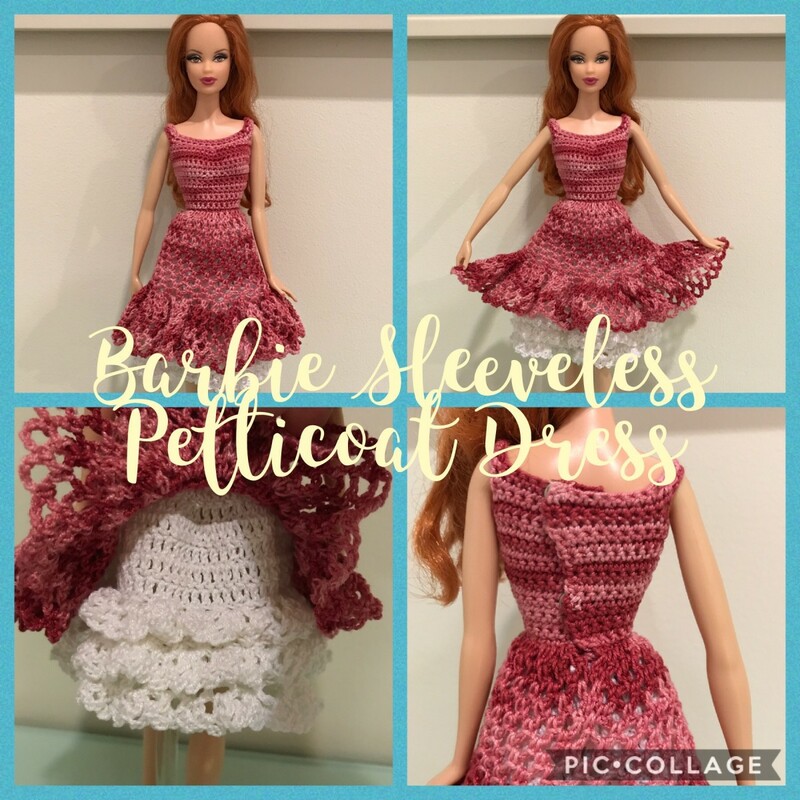 I used to crochet doll dresses in the 80´s for my past time while looking at the telly. I have not done it for many years. This lace up boot is fantastic. I might try it sometime. You are so creative and I learn a lot from you. Thank you and shared. Finally!!!! I am so glad. After all these craft hubs, who would have guessed- crochet! . I must say, you are a great sport for reading my craft hubs. I am sure Bev would love one of these. You should impress her with your skills. :) Thanks for the chuckle and I eagerly await photos of the finished product. LOL! Okay, I'm laughing and I have to tell you why; when I was ten my mom taught me how to crochet, and I used to make pot holders for relatives for Christmas presents! So you have finally done a craft hub that I understand. Hooray! Thanks so much Susan. I have an angel pattern and I will try to get that out soon. :) I appreciate your visit! 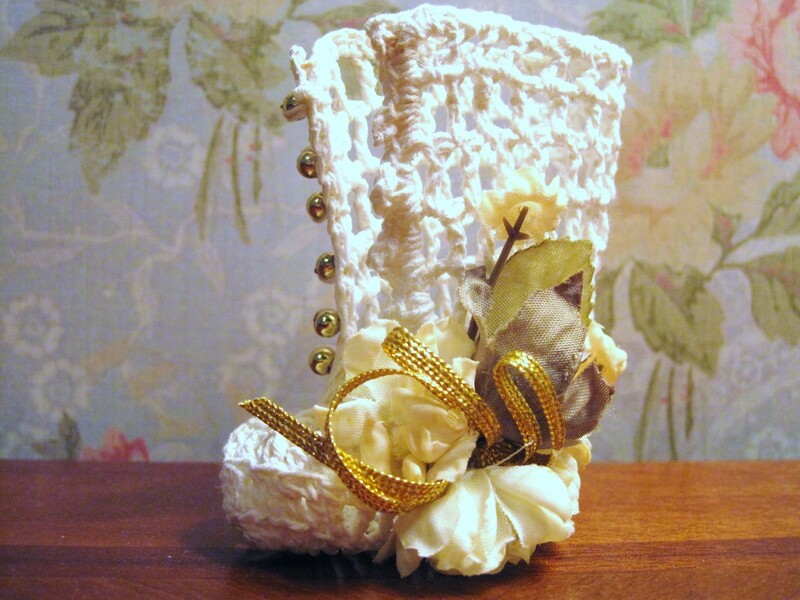 This beautiful Victorian crocheted boot would be the perfect gift for someone who has everything. I am craft challenged. I remember years ago I was called for jury duty. One of the ladies that I met tried to show me how to crochet. Oh wow this is so beautiful! I have not picked up my crochet hook in many years. 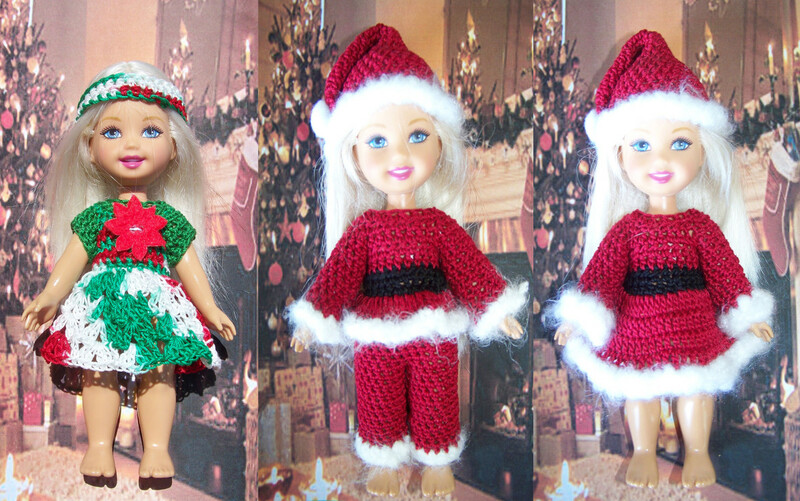 I would love to see a pattern for angels especially with Christmas coming up. Thanks so much for reading RealHouseWife. Perhaps we can create a FB group for "hookers." This is an intermediate pattern but it is a bit easier to use thread than it is yarn. I hope you will give it a try! I appreciate that very much. Thanks Hub Tub! You are most welcome, and thanks for sharing your little secret (smile). Definitely a great way to be productive and multitask. Thanks for your sweet comment as well. By the way, I especially love this one, as pink is my favorite color. It is now sitting on my Pinterest board. This is beautiful!! 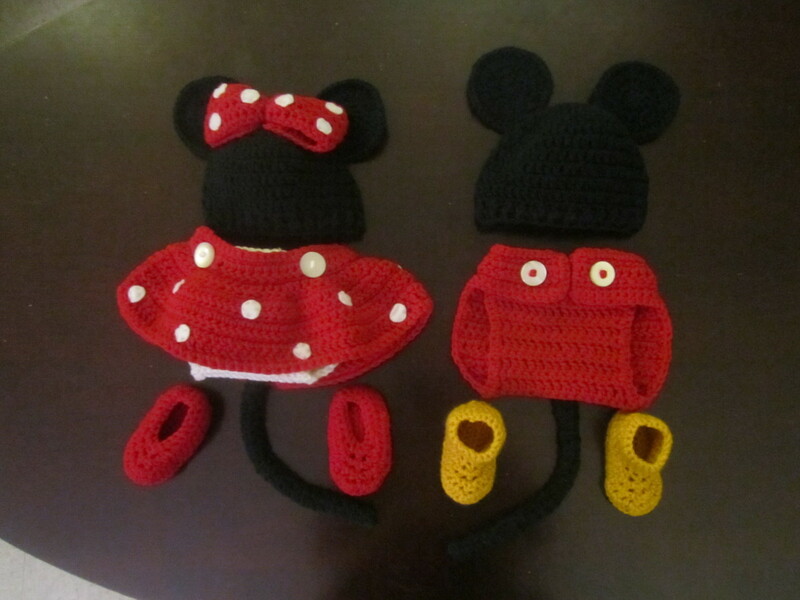 I bet it would make a fantastic gift for a baby girl keepsake ^_^ Is this your first crochet hub?? If not I'm going to have to read more. I have a few crochet hubs on my list for this month too ^_^ Voted a bunch and shared/pinned! Thanks for checking it out. I make crafts, do hubs on them and sell them.. all day. I found this to be a very good and practicle practice that makes multitasking possible. LOL. You always write the nicest comments! This is so cool, Tammy! How in the world do you find the time to craft all of these beautiful DIY hubs? Your step-by-step instructions are awesome, even including the abbreviations for newbies, like myself! I have a friend who is very much into crocheting. I will be sharing this with her. She will love this idea as much as I do. Voted up + more!